Mumbai: Some days are good. A few are great. But we’re going to go so far as to call this one super. 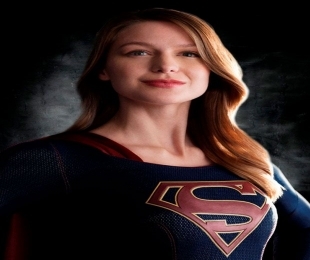 DC Comics has given fans across the globe, a first look at the new small screen ‘Supergirl’. As reported by DC Comics official page, Melissa Benoist steps into Kara Zor-El’s suit, in Warner Bros new television pilot from DC’s ‘Supergirl’. Supergirl’s pilot episode is currently in production for CBS and also stars Mehcad Brooks (Jimmy Olsen), Calista Flockhart (Cat Grant), Chyler Leigh (Alexandra “Alex” Danvers), David Harewood (Hank Henshaw), Faran Tahir (The Commander), Dean Cain and Helen Slater (both in unspecified roles). So, what are your thoughts on this new-age super heroine.